If you have ever felt a bit overwhelmed when trying to decide which way to head with IT upgrades and new implementations, you are not alone. While many of our customers have similarities, everyone has their differences, and with the vast array of options, it’s easy to become unsure about what the right solution for your business is. Fortunately we are able to break it down for you and explain the benefits and disadvantages of your options, the return on investments, and examples of what many of our other customers have done. With Cloud solutions becoming more prevalent, we can explain to you if it’s right for you, and the hybrid options that you also have to utilise the cloud for the right areas of your business, while maintaining on premise infrastructure where needed. 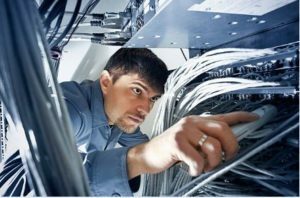 If your thinking of upgrading your IT environment, let have a chat to to discuss your options.